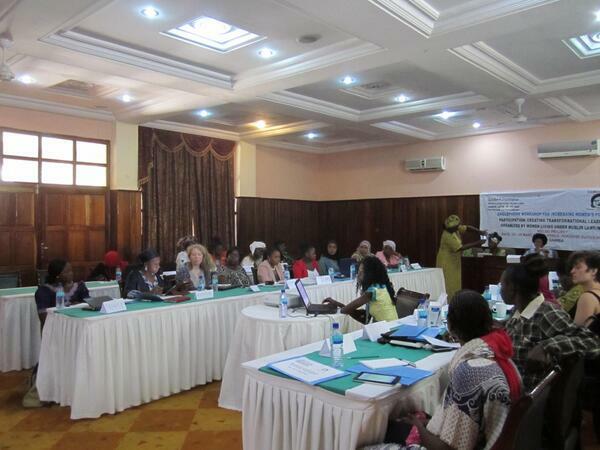 Banjul, on Gambia’s ‘smiling coast’, is currently hosting WLUML’s fourth transformational feminist leadership workshop. The workshop - part of our Women's Empowerment and Leadership Development for Democratisation programme (WELDD) – started on Monday and will go on until Friday. The workshop has brought together young female activists from around the African continent to furnish them with the tools to effectively fight for women’s rights in their respective contexts. With a specific focus on creating transnational, transformational women leaders, the workshop aims to explore feminist definitions of leadership; effective advocacy strategy; and how feminist leadership can be sustained. Topics for discussion include the rise of political Islam; culturally-justified violence against women; and women’s participation in law and constitution building. The Banjul workshop will be an exciting opportunity for activists to come together to share their experiences of advancing women's rights across Africa, under the expert guidance of experienced women's rights activists.